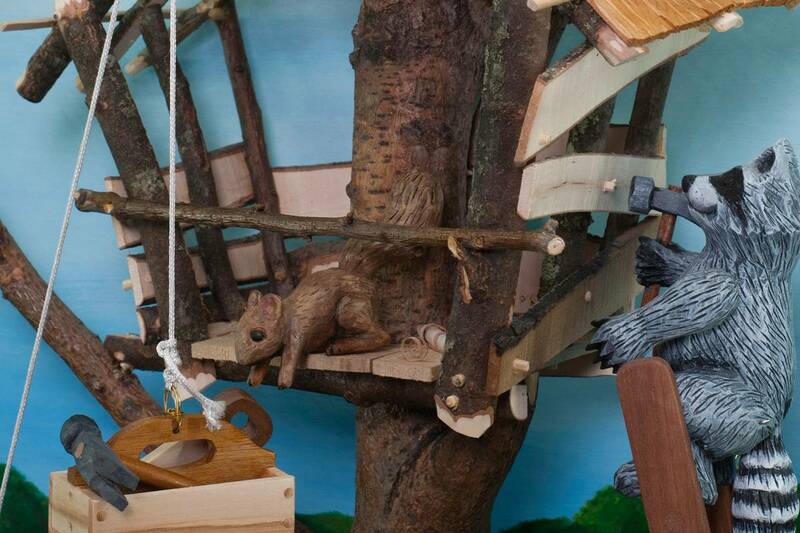 Cecilia Schiller delights audiences young and old with her engaging and often whimsical interactive mechanical sculptures also called automata. These sculptures have no motors are brought to life when the viewer turns a crank. 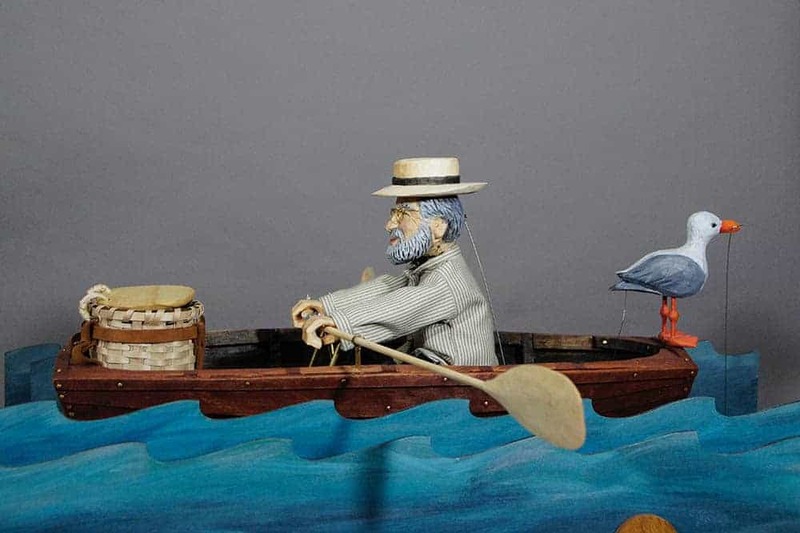 Ms. Schiller, an accomplished and award winning woodcarver, incorporates hand carved figures and decorative elements into her automata that range in size from intimate tabletop pieces to large-scale public installations. An Exhibition at the American Swedish Institute. August-September, 2018. This remarkable exhibition featured the engaging and whimsical work of Verne Anderson and Cecilia Schiller, two Twin Cities-based artists whose careers intersect with three-dimensional sculpture, craft and art. 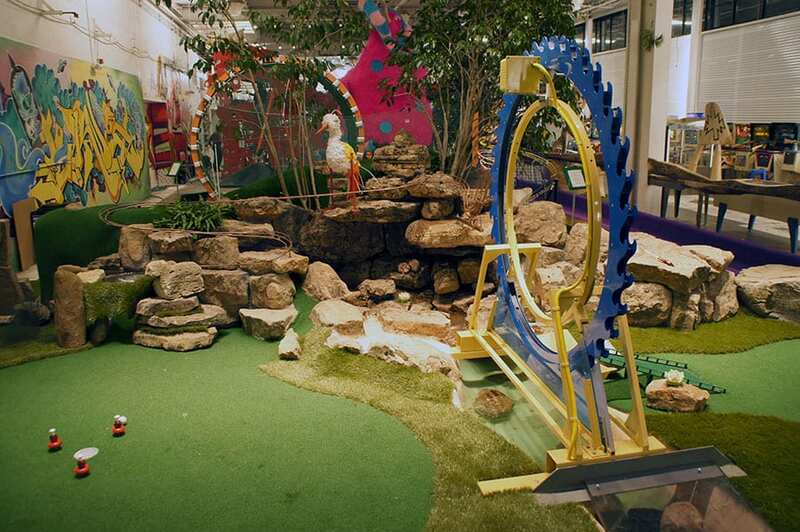 Can Can Wonderland Artist Designed Mini-Golf opened January 2017 and is ready for action! Fun for kids age 5 to 95. Don’t miss Hole 6, Catchin’ a Wave! designed and built by Cecilia Schiller. And have fun!!! The interactive sculpture Night and Day in the North Woods is installed in the Children’s Hospital’s Palliative Clinic. 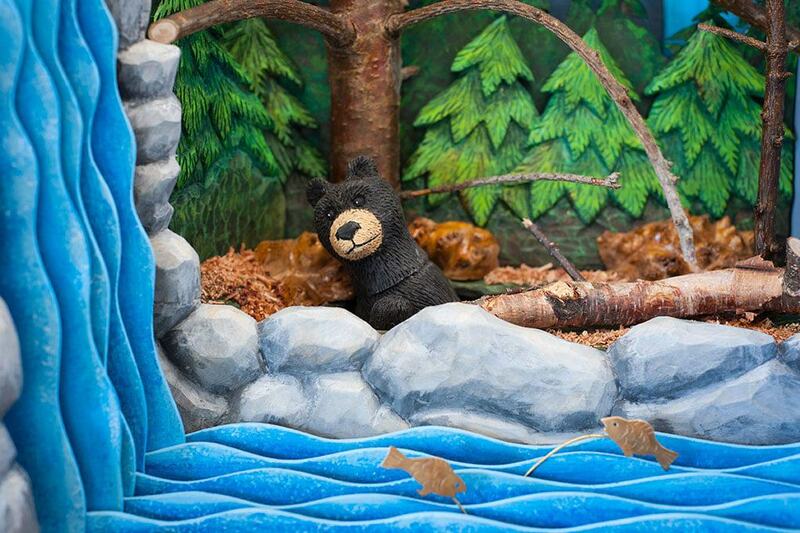 The cabinet holds a diorama of a northern woods scene with a waterfall. Interactive Display for Park Nicollet Shakopee Clinic. While taking a walk on the edge of the Minnesota River, I saw and photographed many animals. I wondered what it would be like if all of these animals used their special skills to work together and what would they make? They would make a club house of course, Riverside Clubhouse!